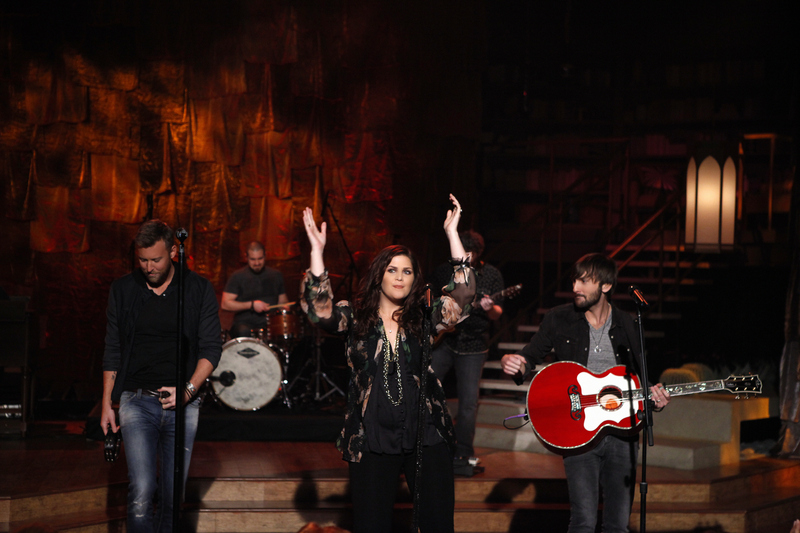 Grammy award-winning band Lady Antebellum performs several of their hit songs on THE TALK, Wednesday, February 6, 2013 on the CBS Television Network. THE TALK celebrates the 2013 Grammy Awards with nominated guests and music performances all week. Photo: Lisette M. Azar/CBS ©2013 CBS Broadcasting, Inc. All Rights Reserved.